As part of my MSc in Science Communication, I did a group project with Chloe McIvor and Eleanor Saunders. The aim was to produce a creative piece (posters, art, video, exhibit – you name it) that linked back to the stuff we learnt in the first term in some way. As we spent the first term learning about philosophy of science and science in the media, this was trickier than you might think! 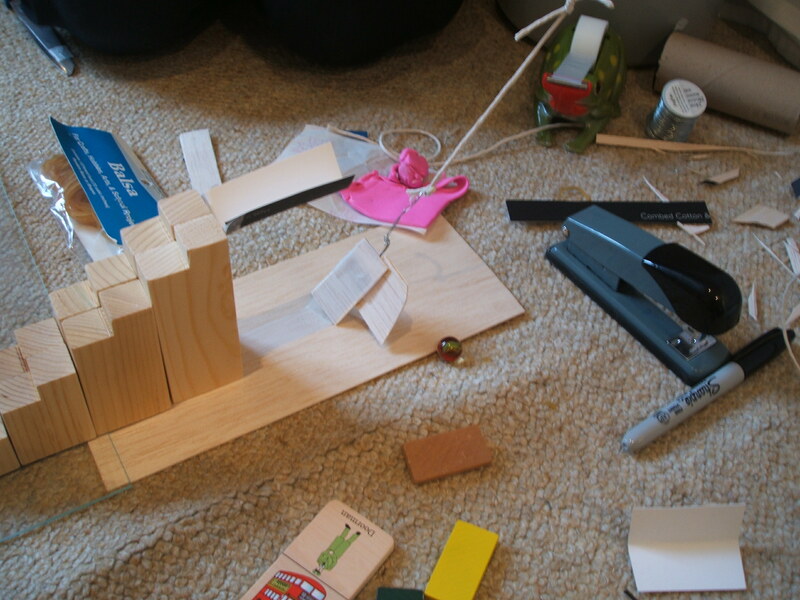 After some deliberation and discussion, we agreed on what I modestly call a fantastic idea: building our own Rube Goldberg machine, which would represent the history of philosophy of science. I’m not going to bore you with the philosophical details, mostly because then I’d have to actually look them up, but I can tell you about all the exciting stuff we did in order to get the machine up and running. First, and this is important, we had to storyboard the machine – basically deciding what we wanted in it, ready to be linked together later. Then, once we’d all decided on that, we had to try and find all the materials we needed, which involved me having to eat a load of popcorn in order to obtain a popcorn box (not too much of a trial, I must say) and spending a lot of time in Hobbycraft buying exciting things like foam boards and balsa wood planks. 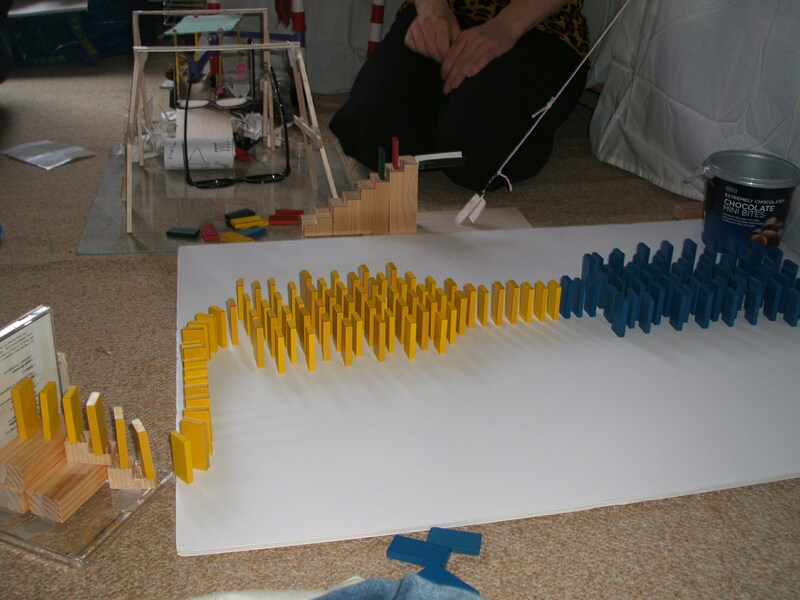 The domino run was also a pain, because although it was fairly easy to set up, it was equally easy to knock one domino over – which of course set off the rest of them. 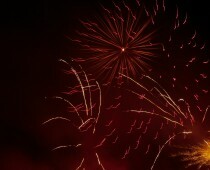 However, it was fantastic when it worked properly and when it was supposed to! As you can imagine, it was pretty spectacular when it all fell over! Note the “brickwork” pattern of the dominoes: this made sure that if one fell over, it hit at least two, which then hit four… etc, making sure that the majority of the blue block fell over and set off all the yellows. To trigger it we were dropping scrunched-up paper from the popcorn box suspended above, so we could never be sure which domino would get hit! 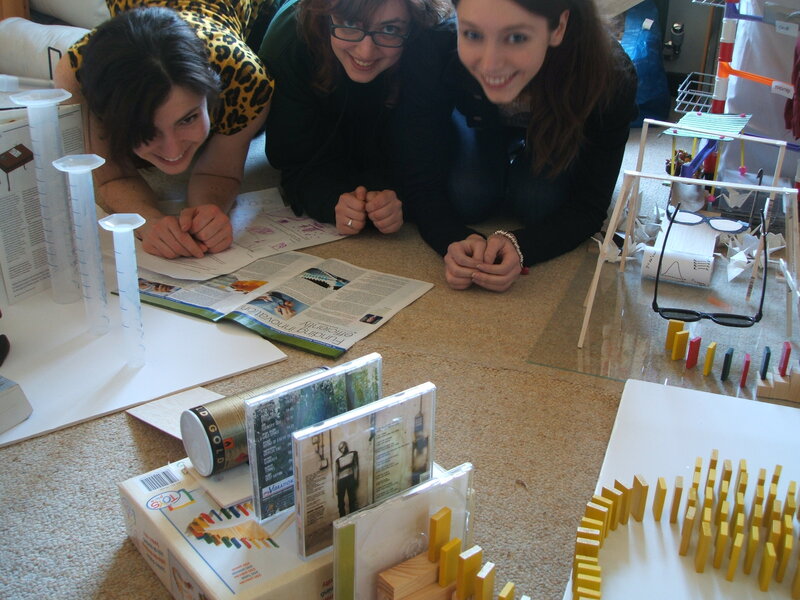 Left to right: Eleanor, me and Chloe with our amazing machine!